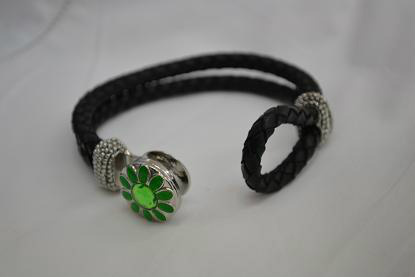 Leather plaited bracelet opening.The bracelet must be opened to take off and on. For 18 or 20 mm studz only. Image of clicking in a studz. Reverse of a studz - 18 mm or 20 mm studz. 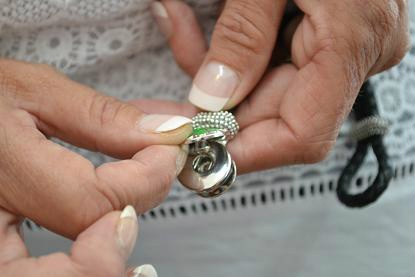 The studz simply clicks into your piece of base jewellery. 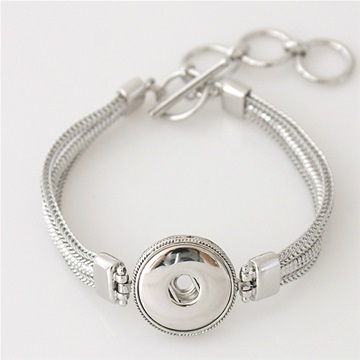 Bracelet base- adjustable wrist size. How Clikz works for you. 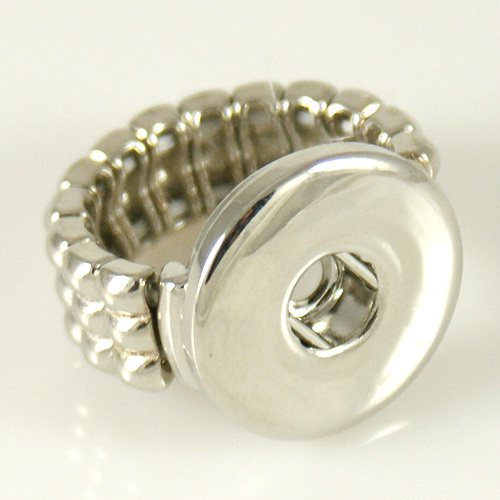 Clikz studz are a button like charm that you can insert and remove from our base pieces of jewellery- bracelets,pendants, necklaces, rings , earrings and key rings. 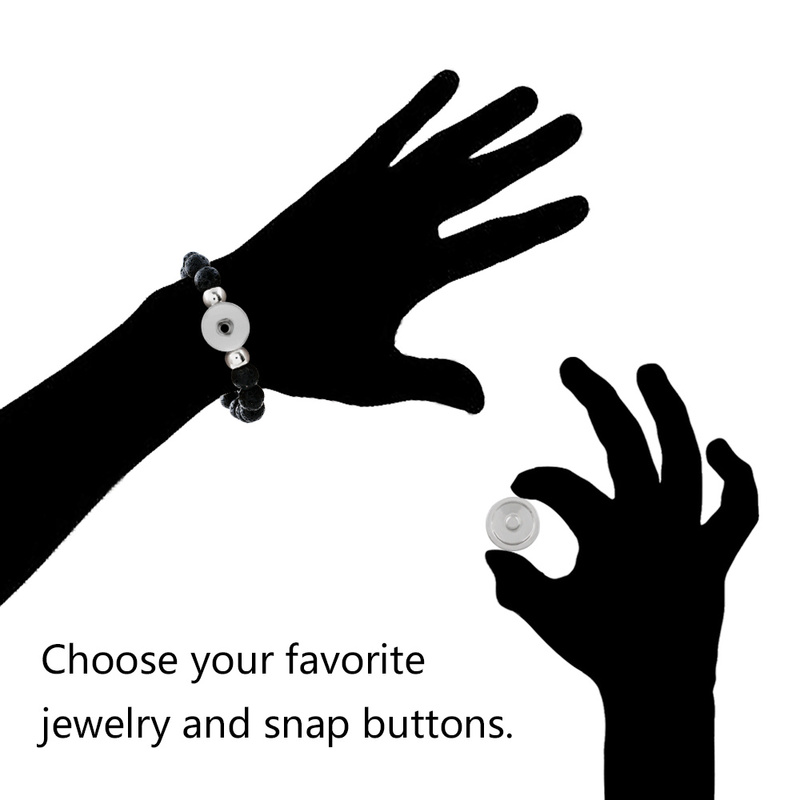 Clikz interchangeable jewellery enables you to express your style and create your own design. All base jewellery pieces have the same fitting, this fitting enables you to simply click in or remove your studz to give it a new look. 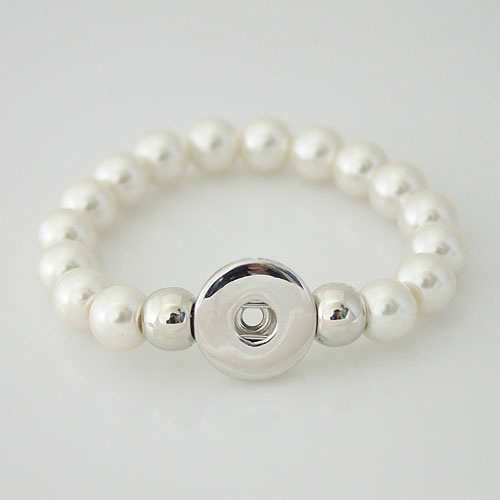 The studz are generally inter-changeable between our base jewellery pieces and come in 18 and 20 mm. Our petite range - 12 mm studz are listed seperately and have their own line of base pieces- these will not inter- change with our 18-20 mm base pieces. Our base pieces range from rhodium metal, stainless steel and genuinue leather or PU. If you have any questions please feel free to email us before placing your order.